Nigerians are reacting to the death of former chief of defence staff, Air Chief Marshal, Alex Badeh (retd.) who was attacked and shot dead by gunmen on Abuja-Lafia Road. 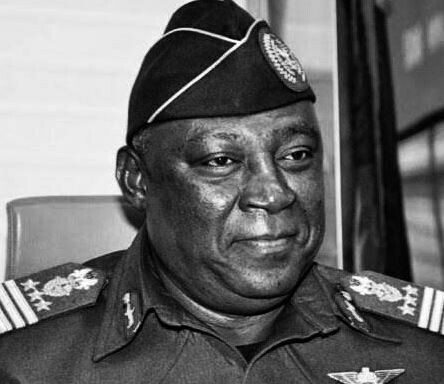 Senate President Bukola Saraki wrote, ‘Nigeria has suffered another great loss with the passing of former Chief of Defence Staff, Air Chief Marshal Alex Badeh. My heartfelt prayers go to his family and our Armed Forces at this tragic time. May the Almighty grant him eternal rest’. Former aviation minister, Femi Fani Kayode wrote, ‘The brutal murder of the former Chief of Defence Staff and former Chief of Air Staff, Air Vice Marshall Alex Badeh, is a despicable and cowardly act. Those that were behind it shall not escape justice and they will pay a terrible price for their wickedness. God will avenge’. El-Rufai Reveals Why Yar’Adua Died, Jonathan Lost 2015 Election.